One of the most frequently asked questions I get is how to get children to get involved in herbal learning. With the distraction of video games, social media and other electronic pulls, sitting down to learn about herbs the old fashioned way can sometimes seem a bit boring. Sometimes bringing a bit of the modern into our learning can go a long way in piquing their interest. One thing I know about my kids is they love to video. My daughter will record her puppy on a daily basis, as well as her dances and skits she and her friends put together. My son likes to record himself playing video games and also create ‘how to’ videos on making crafts. Let your kids create a video of a plant that is growing in your yard that they have studied. Have them observe all the parts of the plants, getting close up shots of leaves, flowers, seeds, etc. and talk about the uses of the plant. Do they like acting out stories? Have them create paper dolls of the story characters from the issue of Herbal Roots zine that they are working on and act out the story while they narrate it. Got a singer? Have them learn the corresponding song and sing it on video and create a ‘rock-n-roll’ style video for the song. Does your kid like cooking in the kitchen? 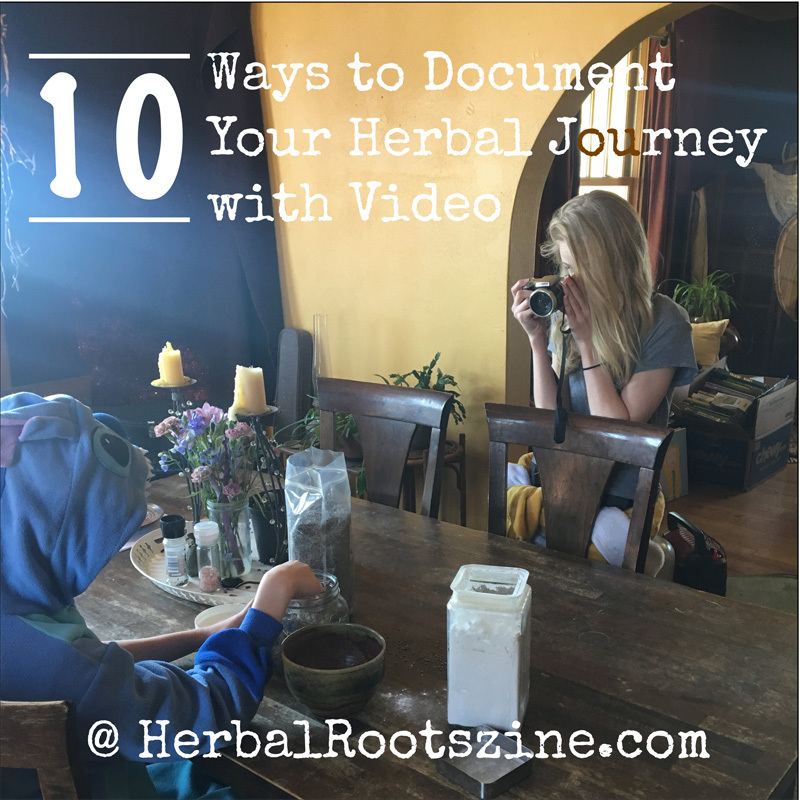 They could create a video while they make their favorite herbal recipe. Crafters might enjoy doing a ‘how to’ while they create a craft from Herbal Roots zine. A couple of siblings might enjoy creating a game show style video, quizzing each other on the medicinal uses of a plant they are learning about. For a longer video, record segments over the course of the month while your kids learn about a particular plant. At the end of the month, put together the montage as a review of all they’ve learned over the month. Go on a plant walk with your kids and record it. Take turns talking about each plant you find. Create a video on how to properly harvest a plant. Create a video on how to grow an herb from seed. Continue creating videos over the course of the plant’s life then put together the series to show that herb’s life cycle. Once you’ve created your videos, share them with your homeschool group, friends or family to let them see what the kids have been up to! 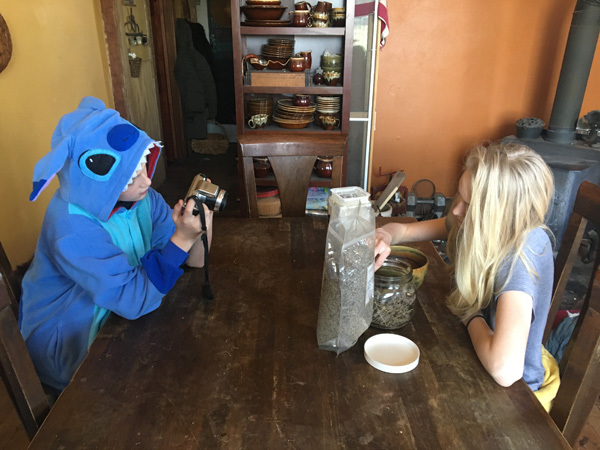 If you are part of a homeschool community, this could be a community project in which all the kids create their own videos on a plant they are learning about and then have a film day to show all the created videos. This could work equally well in a regular school setting. Now that you have a few ideas, grab your camera and start recording! Do your kids like to create videos? Which video do you think they’d like to create? If you do create a video, we’d love to see it! If you post it on social media, tag us – #herbalrootszine so we can check it out. This entry was written on February 8th, 2019 by KristineBrown and filed under Uncategorized. Super great ideas. Was Early Childhood teach for fifty years and encouraging young children’s sense of wonder through plant world makes a huge diffence in the children who will be caretakers this next generation for our Earth home.